Dr Tolat Workers Compensation Doctor with and office in Valley Steam, NY and in Medford, NY. Specializing in Spinal Cord Injury, Musculoskeletal Pain Medicine, Physical Medicine & Rehabilitation, and Sports Medicine. 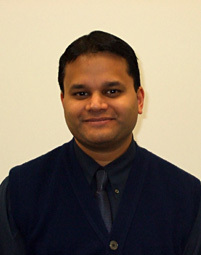 Dr. Raj Tolat completed his medical school education at The Mount Sinai School of Medicine. After completing his internship in Internal Medicine at Winthrop University Hospital, he completed his residency training in Physical Medicine and Rehabilitation (PM&R) at Long Island Jewish Medical Center where he served as chief resident in his final year. Dr. Tolat was a full-time faculty member in the North Shore-Long Island Jewish Health System and was Residency Program Director for the Department of PM&R. On two separate occasions, the residents elected him Teacher of the Year in PM&R at Long Island Jewish Medical Center. He has been in private practice since 2006 and his clinical interests include musculoskeletal medicine and pain management. Dr. Tolat has authored numerous articles in peer-reviewed journals and he has lectured extensively on a variety of Continuing Medical Education (CME) topics in the New York area. He continues to maintain privileges at North Shore University Hospital and Long Island Jewish Medical Center, and he is an Assistant Professor at the Albert Einstein College of Medicine. Furthermore, he completed a Masters in Business Administration (MBA) in Health care Management in 2005. Dr. Tolat's experience as an educator and clinician allow him to provide the highest quality medical care which result in superior patient outcomes and satisfaction. Dr Tolat New York Workers Comp Doctor has offices in both in Medford, NY and Valley Stream, NY. Dr. Tolat offers orthopedic care and rehabilitation for employees hurt on the job. The goal is not only to heal our clients, but get them back to work. Dr. Tolat understands the workers compensation system and can provide all the information a patient needs to file his or her claim.